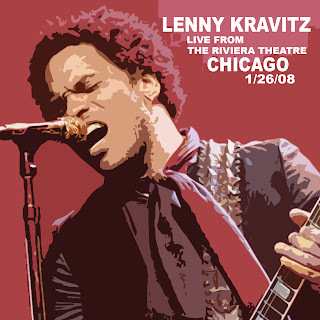 This is Lenny Kravitz live at The Riviera Theatre in Chicago USA on the 26th January 2008. I have very fond memories of seeing Lenny Kravitz on the bill at Wembley Stadium, London back in 1999. Aerosmith were headlining and earlier in the afternoon The Black Crowes had played a sublime set despite being clearly hungover. When Lenny came on stage he ignited the audience and pretty much had 80 thousand plus people on their feet within minutes. Listening to this concert has brought back great memories and it is superb to hear that Mr Kravitz still plays a vibrant concert.